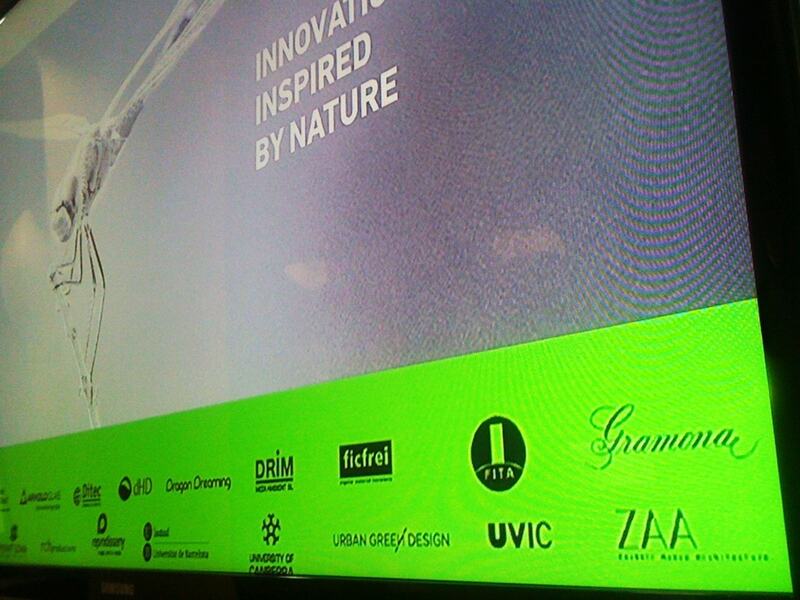 The World Biomimetic Foundation presented today at Casa Batlló in Barcelona. The event, which was attended by international personalities from different fields related to Biomimetics, served to introduce the Foundation and to explain its origin and its objectives. Attended by representatives of companies and institutions that support the World Biomimetic Foundation as from the public administration, Point Loma Nazarene University, University of Barcelona. Marta Subirà, General Director of Environmental Policies of the Government of Catalonia has introduced the Foundation at the beginning of the event, which included speeches from Lynn Reaser, economist from the Point Loma Nazarene University (San Diego, USA), David Steuerman, Bussines and Biodiversity Environmental Program of the United Nations and Secretariat of the Convention on Biological Diversity (Montreal, Canada). The World Biomimetics Foundation project have been presented by Zoubeir Azouz (ZAA architects) and Montse Puig (Urban green Design). The morning session has been followed by virtual speeches from special guests: Julian Vincent, president of the International Society of Bionic Engineering (ISBE), Carlos Montana Hoyos University of Camberra (Australia); Puri Canals environmental, biologist, Alexander Von Mezynski from Arnold Glas (Germany) and Avi Marmur, professor at the Technion Institut (Israel). Presentation of the International Biomimetic Foundation Project – Architectural space of creativity, consciousness and biomimetics innovation, an international meeting point where merging research, education and business under the principles of biomimetics. Learn more about the World Biomimetics Foundation Project by following this link.